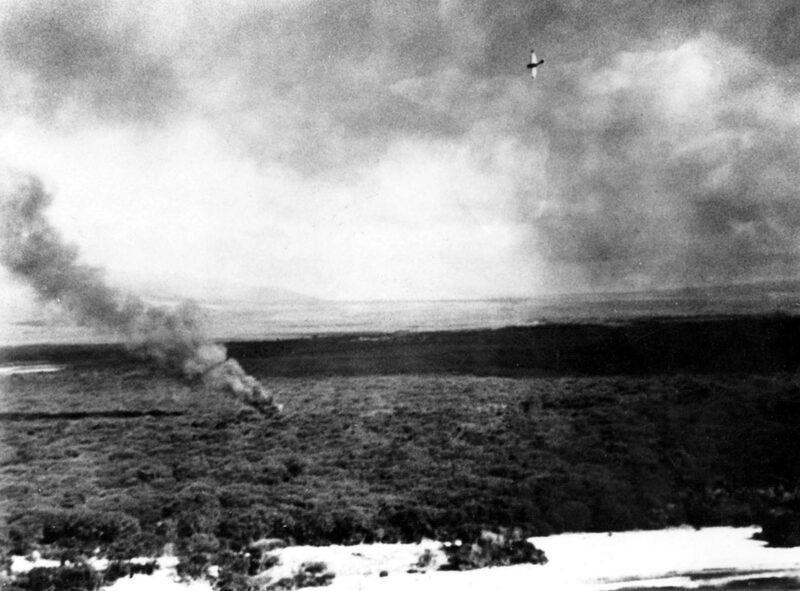 The Japanese fighter A6M2 Zero makes a turn over the American fighter shot down by it and burning on the ground. The photo was taken near the Ewa airfield on the island of Oahu (Hawaii) during the Japanese attack on the US naval base Pearl Harbor. The picture was taken by a member of the crew of an American B-17 bomber.